Heather: Hi Kimberly! Thanks for chatting with me. You are the acclaimed author of eight novels, including your newest gem, HEART LAND. HEART LAND is the story of Grace Kieren, a woman who has made her dream of a fashion career in New York a reality. But when she’s fired from what she thinks is her dream job, she has to pack things up and move back home to Iowa. We both grew up in Iowa and we both write about our home state. What are some of your favorite things about Iowa that you like to share with your readers? Kimberly: Oh, how I love where I live! As with many coming home stories, I needed to leave to find out how good I had it. During college and afterward, I lived in a variety of spots for about ten years. I made my home in Chicago, Minneapolis, Houston, Costa Rica, and a few other places, and they all had their charms. (Some had more charms than others.) 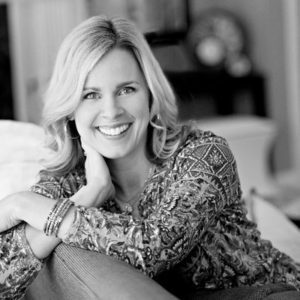 When my husband and I came to the part where we wanted to plant and grow our family, however, we landed in Iowa, and I have never once regretted our decision. That’s a lie. I regret our decision for nearly the entire month of February each year. But other than February, I love it here. I love the way I know my neighbors and the love my kids. I love our schools and our phenomenal teachers. I love our thriving literary community and our commitment to bookstores and local libraries. I love long expanses of sky, the riot of color in the trees each fall, and the Technicolor green that touches everything in the spring. In short, I have drunk the Iowa Kool-Aid. No looking back. Heather: Iowa Kool-Aid is the best! 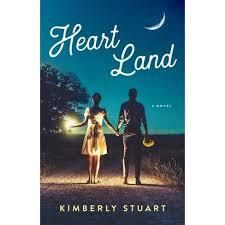 In Heart Land, Grace gets fired from her dream job in fashion and has to come home to start over. Have you ever been fired or worked in a field that wasn’t quite your dream job? I almost was fired from my high school job at McDonald’s but that’s a story for another day. By the way what is your dream job? Kimberly: THAT is a teaser. I want to know the almost-fired story! Dish, Heather Gudenkauf, dish! I’ve been fortunate to love all my real-life-adult jobs. I was a Spanish and ESL teacher and loved that work, then became a stay-at-home mom, a job I still love. Writing is icing on every cake. But BEFORE I found the icing and the cake, I had a slew of, um, character-growing jobs. I was a hostess, a babysitter, a day care worker, a house painter, a receptionist, and a few other gems. One memorable scene of those years was when I was working at a little kiosk at the Iowa State Fair, serving burgers and fries and drinks to hungry and thirsty fair goers. I think it was Day Ten of the fair when one of the cooks held up the frying basket, peered into the frying oil and said, “Huh. No one ever did change the oil.” There was a smattering of very crispy, deceased locusts in the bottom of the vat. That might have been my last day in food service. Heather: Next time we meet up, I’ll tell you the McDonald’s story, I promise! And we are SO grateful that you chose writing! Thank you!